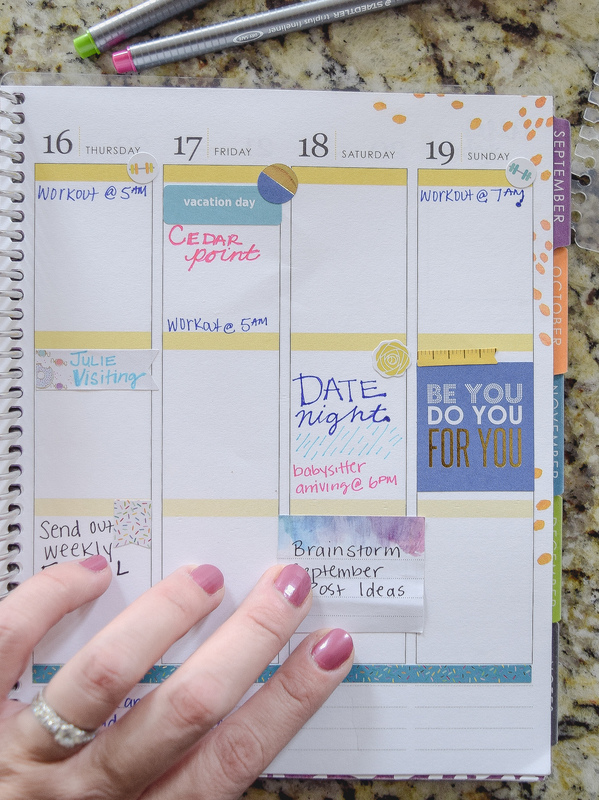 Here is how to use a planner effectively with 8 easy tips! You will stay organized all year long with your planner. Includes free printable note pad at the bottom of the post. Stop buying planners that you won’t use! 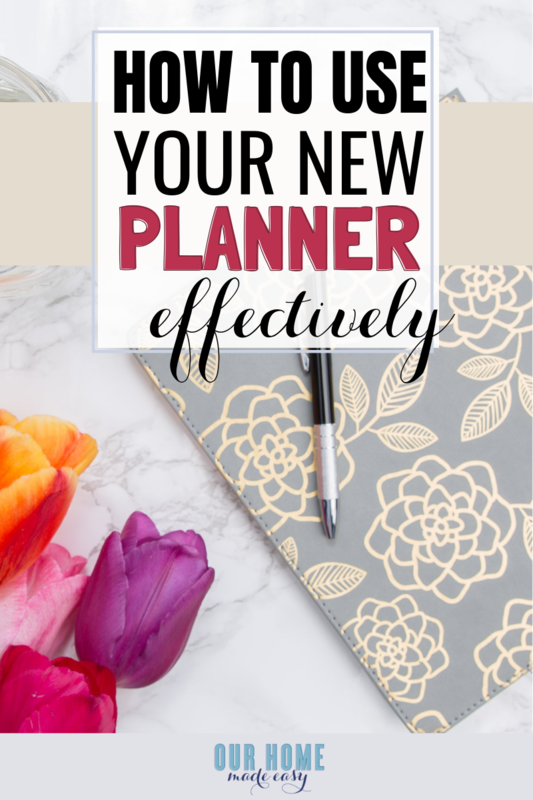 Now that we are officially in planner season, I couldn’t wait to share my favorite tips & tricks on how to use your new planner effectively! 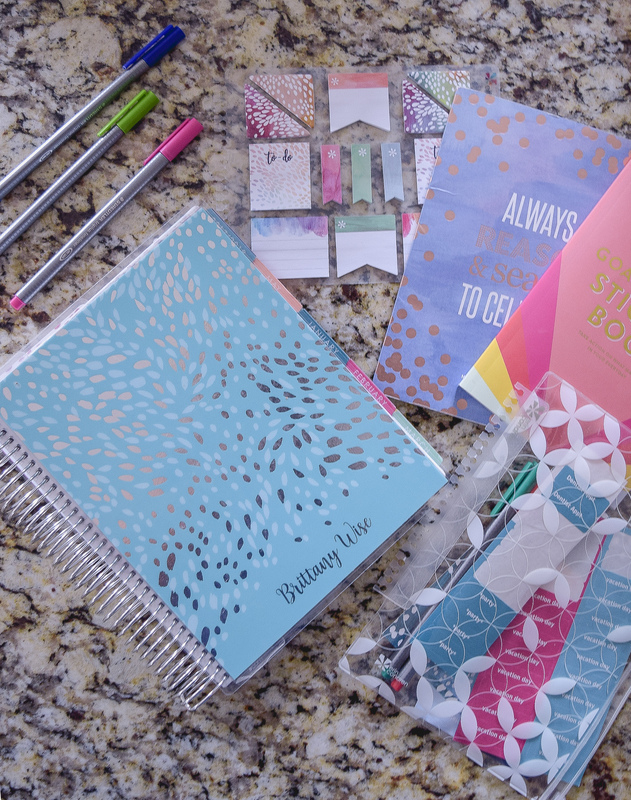 If you’re feeling like a kid in a candy store with your planner, this post is totally for you. If you are wondering how you would ever use a planner, I think you just might find this interesting too. After all, we all want to have a well-run home right? And you can definitely organize your life on your own terms-– not how someone else says it needs to be done! 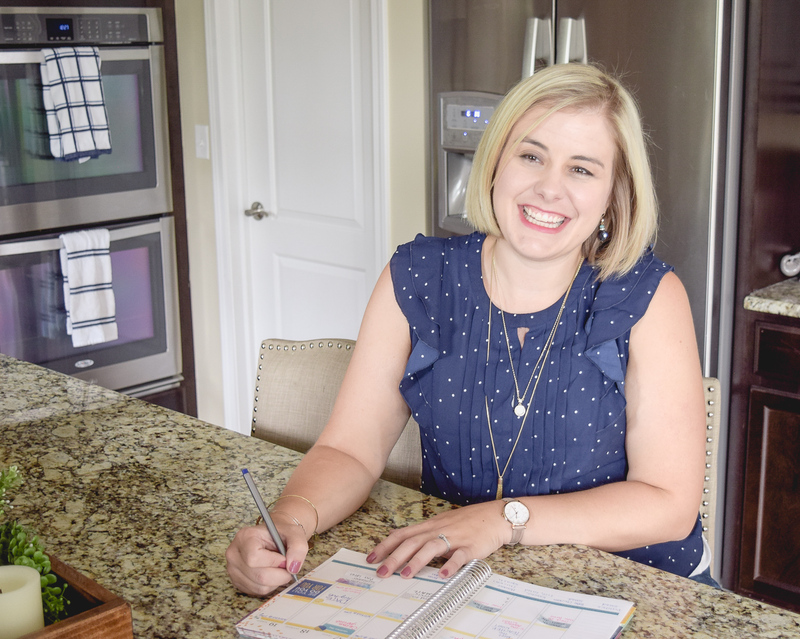 Whether you’ve been a planner fan for years or this is your first year, you can create your own planning systems easily! 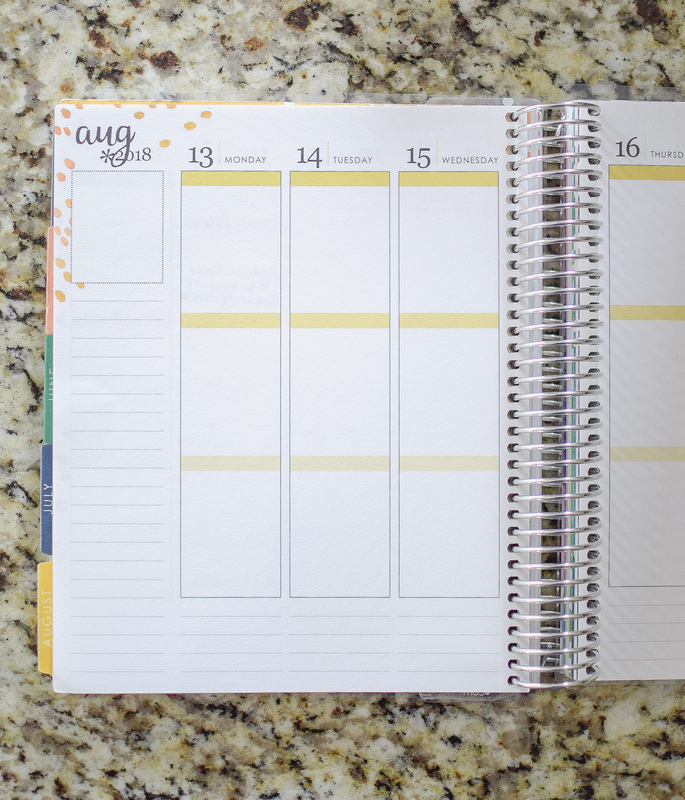 When it comes to using a planner effectively, you need to enjoy using it! If you love your Google calendar or online meeting invitations, perhaps a paper planner isn’t for you. However– I will tell you that my husband & I create appointments to share back & forth for each other’s Google calendars. BUT I absolutely LOVE writing everything down in my planner. 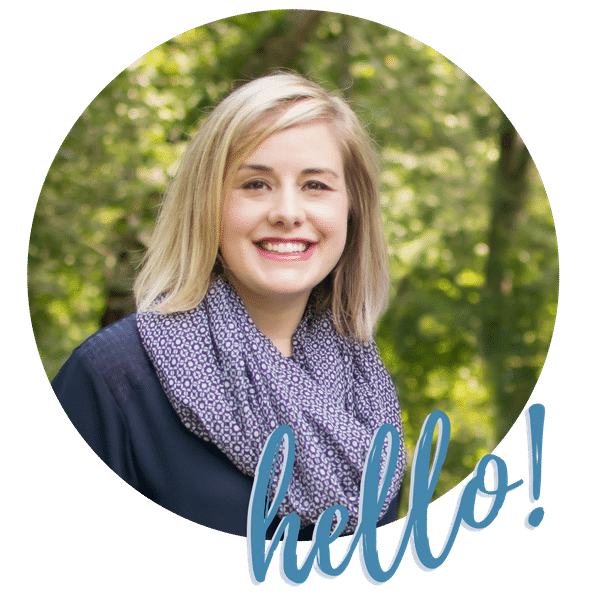 The appointments share places to be with Jordan, but the planner– it’s the machine making sure I don’t forget preschool tuition dates, soccer practices, and when I need to arrive early for work! Think about how you manage your life. Before you spend money on a paper planner, consider if digital could be a better option. Now that you have decided on a paper planner, let’s talk about layouts! 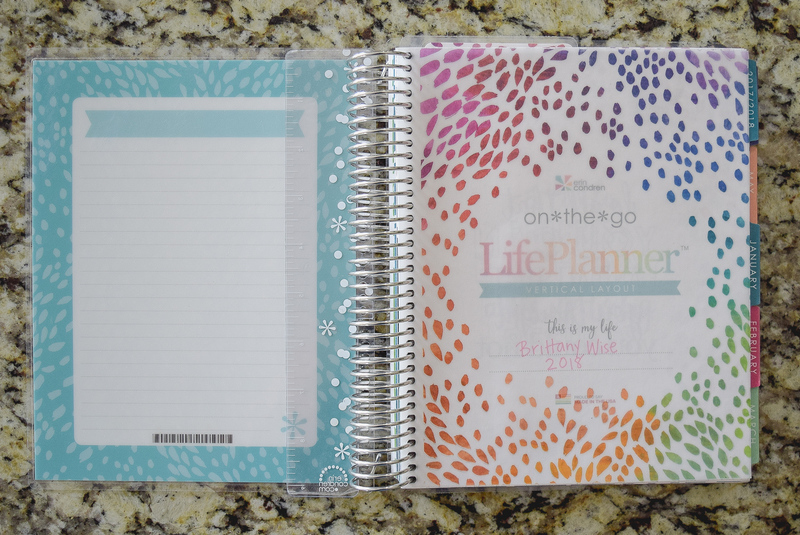 Over the past 2 years, I’ve been using an Erin Condren Life Planner in the vertical layout. It has 3 vertical blocks for each day. You can read about how I use each vertical block here. Other options include hour by hour lines for those who need that detail. Think of it as an hourly task calendar. The plus side is that there is a space next to each hour. The downside is that unless you have a day that changes radically every day, you may be leaving a lot of spaces blank and wishing you had more ‘free space‘ to jot down notes and reminders. Another option to consider is the horizontal layout. 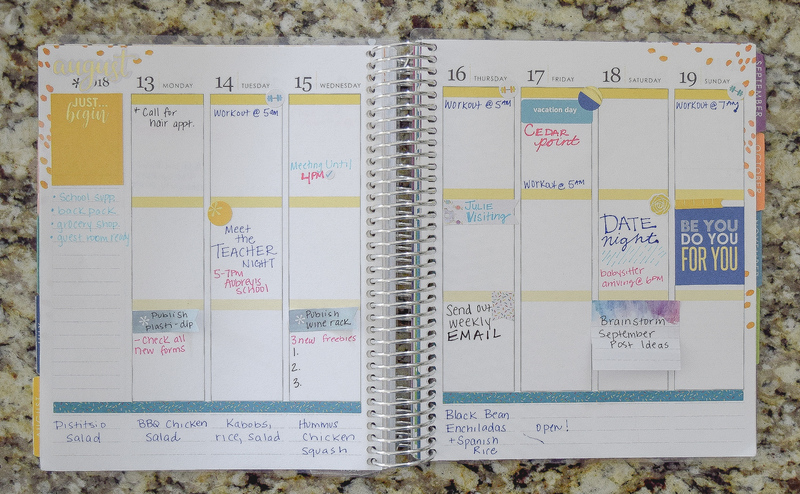 This layout from the Hearth & Hand line reminds me of the college planners where each day is one large block. 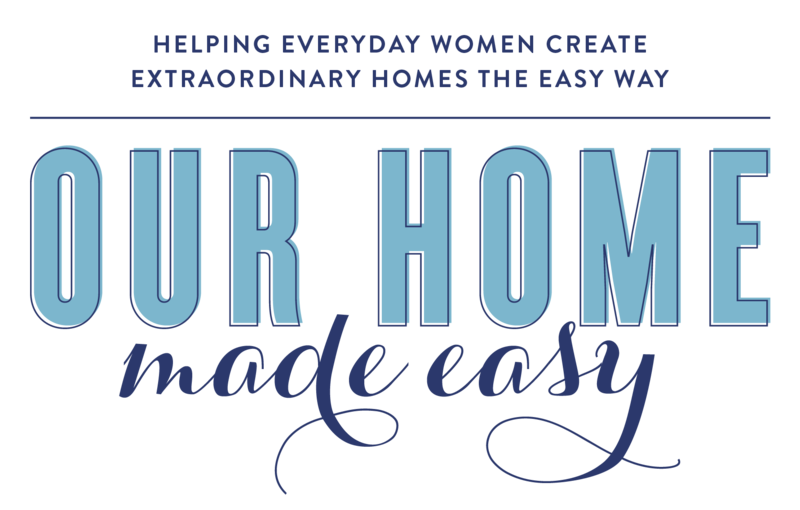 If you have a lot of projects due throughout the week, this may be a great planning format. This may sound silly, but unless you keep your planner near you in your purse or tote, you’ll likely forget to use it! Not using it will make you feel discouraged and less likely to pick it up again. To avoid that, make an effort to keep your planner nearby, full of cute stickers, write down everything (that’s coming up next), and treat it as a really fun accessory during the day. I shamelessly keep mine on my desk at work. It makes me smile, and when I think of something for the blog, or receive an email from the kids’ teachers, I can quickly write it down! Unless your planner becomes what we in the corporate world affectionately call the “single source of truth,” you’ll always be left looking for the right answer. In short, write it all down. Make it a habit. When you find yourself automatically grabbing your planner to jot down information, reminders, and notes, great things happen! You keep using it. Use a dashboard to help you quickly open your planner to the current week. Make writing it all down as easy as possible. Something I learned over the year-– I bought an extra set of list notes to go into my planner this year. My blogging brainstorms become too long and quickly filled up every inch of paper. Instead, I bought a pack of these list notepad sheets (they are not sticky) to slip into the weeks to help me stay on track. I can write outlines of blog posts, hex codes, and opt-in ideas without taking up too much valuable planning space! Also– I keep my 6-7 favorite color pens in the back of my planner. It’s a quick way to have a pen handy when I need to write something down. 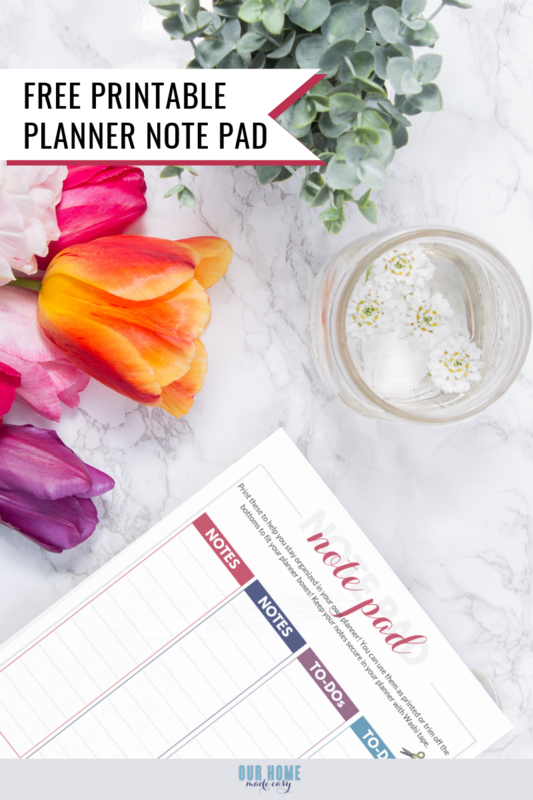 GET YOUR FREE PRINTABLE PLANNER NOTE PAD AT THE BOTTOM OF THIS POST! It’s perfectly okay to choose a planner that makes you smile. I know that you may reach for something uber professional if you’re at work all day or something more mature if you feel like you want to fit in. A planner is only effective when you’re using it, so choose a design that you love. Who cares what anyone else thinks? This year I chose the Watercolor Dots planner cover. It’s absolutely beautiful. But it looks nothing like the clothes I wear or the style on this blog. I wanted to add a little pink & bright color to my day and this was how I chose to do it. When you open your planner, is it colorful on the inside? Are you a sticker lover? Or are you more minimalist? Either way, allow yourself to become the 6th-grade version of your self and choose something happy. And who doesn’t love the occasional list sticker? I’m a total sucker for the Erin Condren Monthly Sticker Packs. It’s a great combination of mood uplifting and useful! Before you commit to an extra night of soccer practice, or an extra day of school pick up, don’t forget to refer to your planner. When you’re wondering how to use a planner effectively– this is the meat of it all. In order to use it well, you need to refer to it for activities, birthday parties, and even date nights! 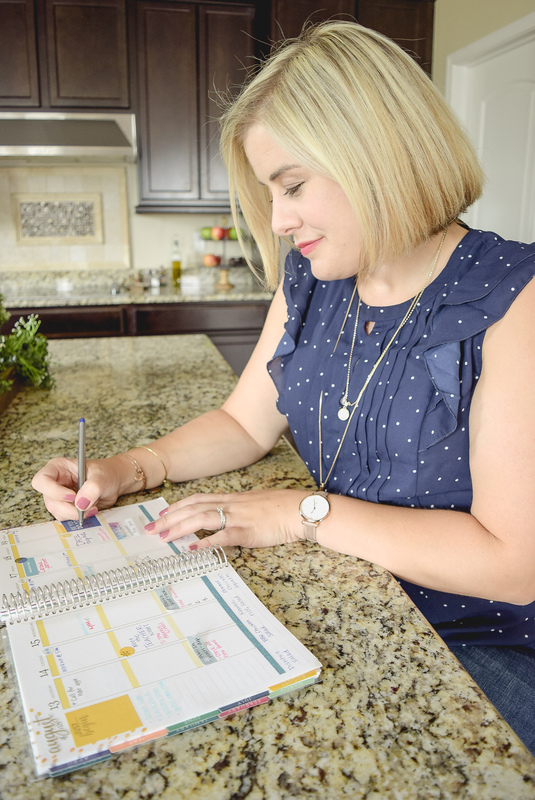 I use the planner heavily in scheduling out our evenings each week. When I meal plan on Sundays, I write down our dinners for each day. Since I am usually the one making dinner most nights, I refer to it before I leave work. Knowing what’s for dinner before I arrive home makes me feel a little less stressed. I think this could be the most discouraging way to stop using your planner. It suddenly doesn’t work for you anymore, so you slowly start stopping. But you write the rules. If you need to change your focus, let yourself change up how you use the planner! No one is looking over your shoulder grading your setup. You may find yourself planning a cross country move that is suddenly taking more of your time. Or you may be focusing on caring for an ill relative and their appointments edge out your daily bullet journaling. Using a planner effectively means using it all year long– not using it the same way all year long. Next year, you can start again. When I first started planning, I spent a lot of time writing very small, very neat, and abbreviating words to make sure everything ‘fit’ into the boxes. Then, I’d be left very neat notes that I completely forgot what they meant. Since then, I’ve started writing outside the boxes and detailing what I need to to do. If I couldn’t remember something, it didn’t do me any good to write it in the planner! If you find yourself be too brief and finding planning useless, try writing whatever comes to mind in the general boxed are. When you are done, pop on a cute sticker so that it catches your attention later. This is exactly why I bought those list notes. 🙂 <<< And made up some free ones for you! Whew. 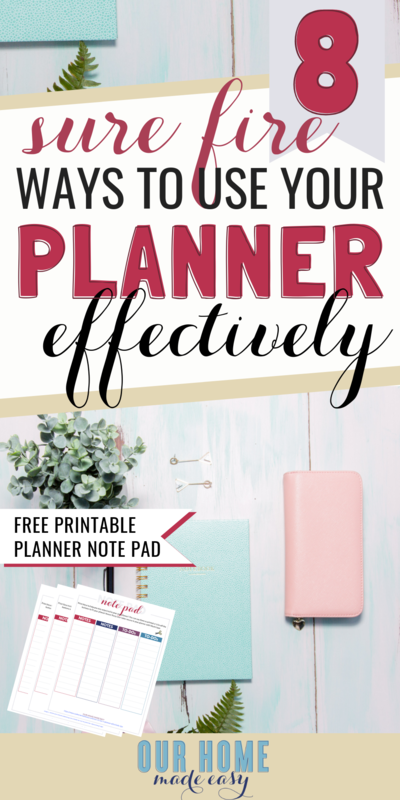 I understand that was a lot of information on how to use your planner effectively with some tips. I appreciate that you stuck with me! Which planner do you use every day and love? Please tell me in the comments! 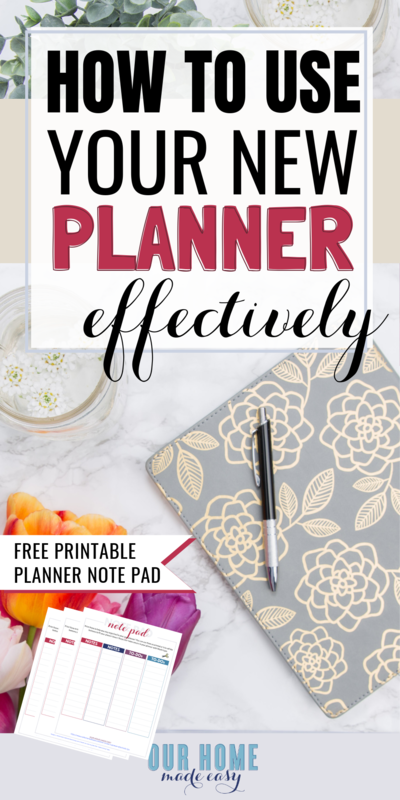 GET YOUR FREE PRINTABLE PLANNER NOTE PAD HERE!